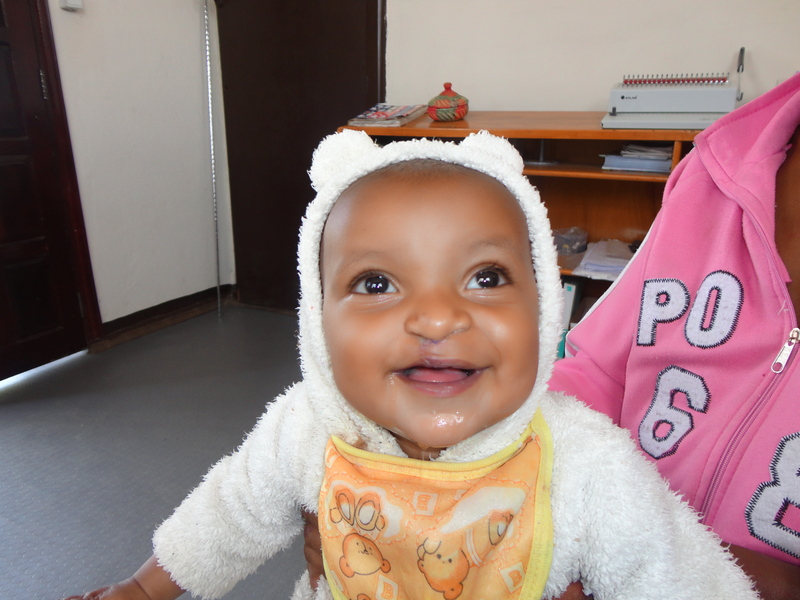 Yeabsra was born with cleft lip and palate at a health centre situated over 70 km away from Addis Ababa. Yeabsra’s family sought help from a private clinic, who informed them that help was available for free at Yekatit 12 Hospital in Addis Ababa, Ethiopia. Yeabsra and his mother travelled to the hospital when he was one month old. By bus, the journey takes over 2 hours. 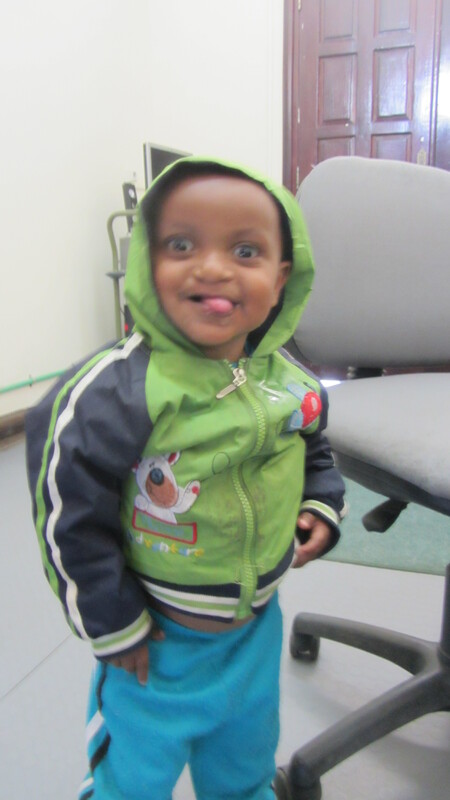 At 6 months, his mother had trouble feeding him, so they again sought help at Yekatit. Though the project does not have a dedicated staff person for nutritional support, Hirut Mengistu, Assistant Speech therapist, counsels parents and offers support during the intake process. It is often difficult to source specialized bottles for families. In this case, as Hirut translates in the video below, Hirut sought help from a local convent that often helps poor residents. They were able to provide milk and clothing for Yeabsra and his mother. At 9 months old, Yeabsra had his lip repaired. In November 2012, he had his palate repaired. Yeabsra is now a year and a half old. He will return to the hospital to receive follow up every 6 months. Once he turns 3, he will begin speech therapy sessions. 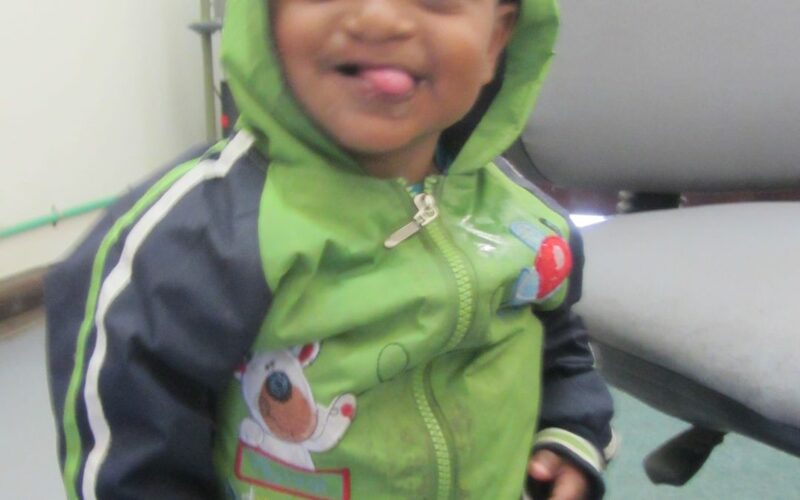 Yeabsra’s father had trouble accepting his cleft lip and palate and left the home. His father has since accepted Yeabsra since his cleft surgery but Yeabsra’s parents remain separated. Hirut explains in the video above how she counsels parents who have trouble accepting their children. Some team members recently visited the cleft project in Addis Ababa, Ethiopia. For more on our local and comprehensive approach to cleft care at Yekatit 12 hospital, click here.